Words: R. Frederick Crider ©2017 Some rights reserved. Copyright Information. All of the hymns and poems on this website are copyrighted. Please acknowledge this and where appropriate, report usage to the owner/publisher, (Crider, or Leupold, or Discipleship Ministries, etc.) or to your licensing company. All material copyrighted by me, R. Frederick Crider, is for private non-commercial use only in your church for one week. Wishing above all to share the Good News of Jesus Christ, and to have these texts used in the Church, I charge no fees. I do ask for an e-copy of the bulletin for the worship service in which it was used. 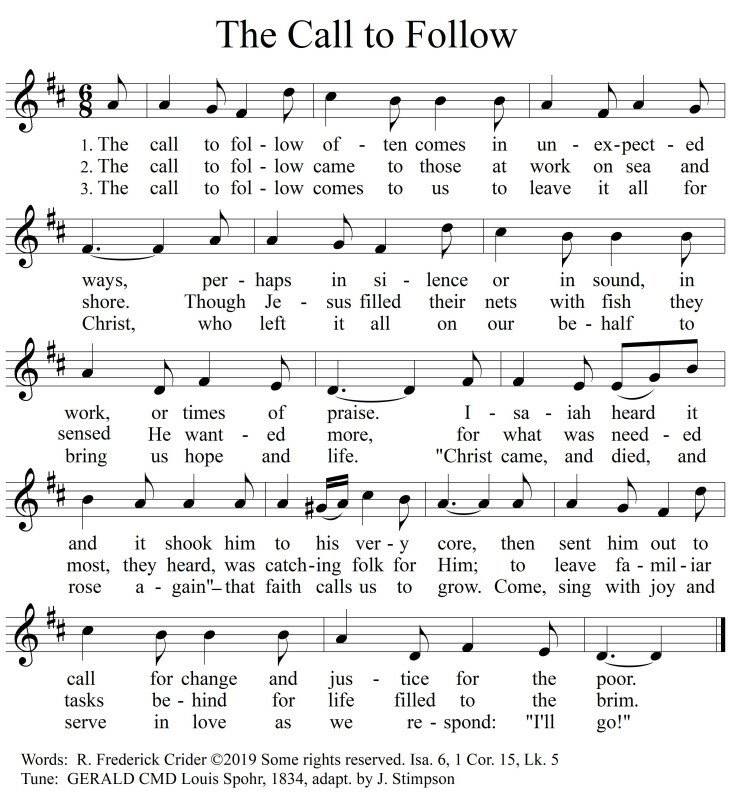 If a hymn is helpful to you, you may wish to put a small gift in the offering plate at your church, or send a donation to: The Hymn Society of The United States and Canada, 3400 Brook Road, Richmond. VA 23227. www.thehymnsociety.org or The Fellowship of United Methodists in Music and Worship Arts PO Box 24787, Nashville TN 37202.